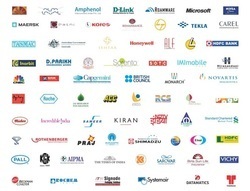 Established in 1993 as an engineering consultancy hub, Inoways, over the years, taking advantage of its engineering expertise, expanded into the emerging field of display engineering with precision engineering and design capabilities, it has become one of the most sought after firm for design and development of world-class modular display systems and custom fabricated exhibition booths. Inoways has earned a reputation for providing superior quality, user-friendly display systems for marketing & brand building. We have also augmented our design and fabrication skills to provide customized, distinctively different and innovative exhibits with a unique look and feel. keeping creativity and innovation at the core of every project, Inoways has carved a niche in this field. Moving forward, Inoways has developed additional in-house design and multimedia capabilities to provide an integrated offering to meet varying customer needs. We design distinctive corporate or brand presentations be it, multi-media, print or audio, visuals to accentuate the client’s presence on the web or ground. Trading, Importer and Exporter of Product and Services. Trust us, we will take care of all your exhibition needs to your complete satisfaction. Over 60% of our business comes from existing clients, and these repeat orders bear testimony to the quality of our products and services. Inoways excels in creativity in design and finish in the execution of Exhibition stands across India and at international destinations. We also offer modular display systems in line with international standards. 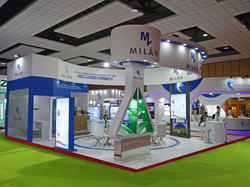 We recommend, create and install exhibition stands to suit client requirements. Apart from this, we are well known for our self-engineered promotional displays, foldable banner stands, modular platforms, flat frame podiums/backdrops, display fixtures and foldable counters. Our success lies in the cumulative efforts of a competent and skilled team, who meet all the practical constraints of a client such as space, size and budget, with a personalized approach. Backed by an industry experience of more than a decade, our engineering & creative professionals offer best-in-class designs, products and service to our clients. We at Inoways are a group of dedicated and skilled individuals, with expertise in creating/customizing exhibition stalls, tradeshow stands, customized display units, and so on. Our quality and on-time delivery are our guiding mantras, and they help us ensure that your project is built for success from start to finish. Our ability to understand and meet our client's needs has earned us a strong reputation over the years. Our industry experience of more than a decade has empowered our engineering and creative professionals to offer best-in-class designs, products and service to our clients.